This is Caparina tripilis, a mite of hedgehogs that can cause pruritus, erythema, quill loss, and crusts along the face. Severe infection may lead to death. 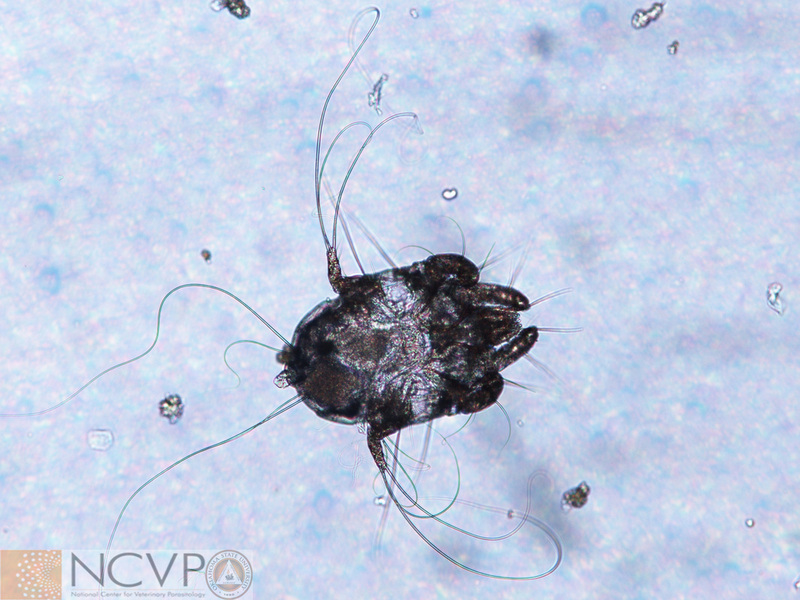 These mites can be differentiated from other mites by being visible to the naked eye as small white specks and having 3 long hairs on the third and fourth pairs of legs. Case and photo provided by veterinarian and NCVP resident graduate student Dr. Jessica Rodriguez, Texas A&M University.